Chelsea full-back Cesar Azpilicueta has signed a fresh four-year deal, extending his stay at the Blues to 2022. The 29-year-old Spain international star has made 298 appearances since arriving from the Ligue 1 side Marseille in 2012. Spaniard, who has won the EPL twice with Chelsea, has captained the West London side in the league this season. “Since I came, I felt the joy and responsibility to play for this club, these fans. Every time I go on the pitch I try do my best. Hopefully there is a lot to come and we can keep Chelsea where it belongs,” he said. 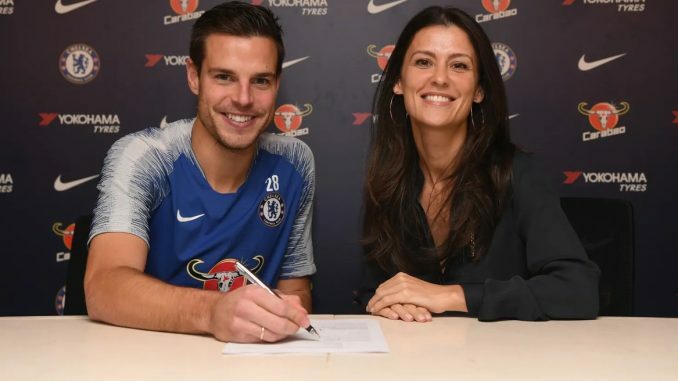 Azpilicueta’s previous contract was due to expire in June of 2020 after he signed a three-and-a-half-year deal extension in 2016.